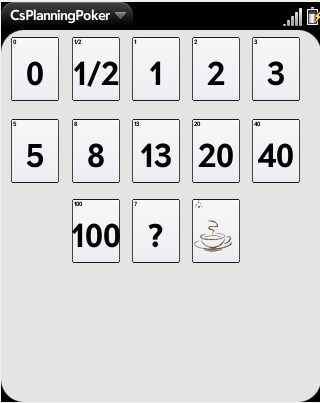 Planning Poker is an estimating technique used by Scrum and other agile teams. Using CsPlanningPoker, you can estimate user stories and keep track of your sprints, user stories, and tasks used for your Scrum or other agile processes. With the tasks of a user story, you can keep track of your effort spent and email/text out any updates.